Preparing this for an SMLM software developper (Maximilian Strauss for Picasso), I figured I would post it because it can be useful for other people. It is all I know about what the different columns are in the ThunderSTORM results table and exported localization files. ThunderSTORM can use several formats but I usually use the .csv (comma-separated values) format: text files where columns are separated by commas. It must be noted that headers usually contain quotation marks i.e. the frame column will have the header “frame”. • id: (optional) column to identify each localization. • x [nm] and y [nm]: x and y coordinates of the fitted localizations. 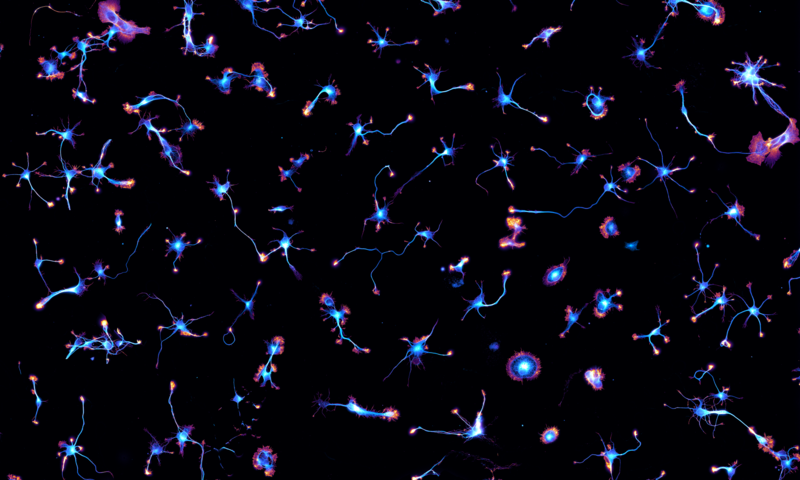 (0,0) is top left as conventional in ImageJ. • sigma [nm]: standard deviation of the gaussian fitted on the peak. • intensity [photon]: integrated photons number under the peak (value used to calculate the uncertainty in the Webb/Mortensen formulas). • offset [photon]: baseline of the peak (background absolute value). • bkgstd [photon]: standard deviation of the background (used to calculate the uncertainty in the Webb/Mortensen formulas). • uncertainty_xy [nm]: standard deviation of the lateral localization uncertainty (used to draw the width of each localization when using Gaussian rendering). chi2: goodness of the fit. • z [nm]: z coordinate of the fitted localization. •sigma1 [nm] and sigma2 [nm]: these 2 columns replace sigma [nm]; standard deviation of the gaussians fitted on the peak along the 2 astigmatic axes. • uncertainty_z[nm]: standard deviation of the axial localization uncertainty. • z [nm]: z coordinate of the fitted localization (0 for all localizations when doing 2D fitting). • sigma1 [nm] and sigma2 [nm]: not sure what it is, it’s related to phasor fitting. • intensity [photon]: integrated photons number under the peak (but no uncertainty calculated). You can add any column you want to the localization file (channel, etc), they will be displayed in ThunderSTORM Results Table and you can use them for sorting localizations. The only problem is if you process the file with merging in ThunderSTORM, because it won’t know what to do when merging two localization with differing values in an unknown column, and will throw an error.